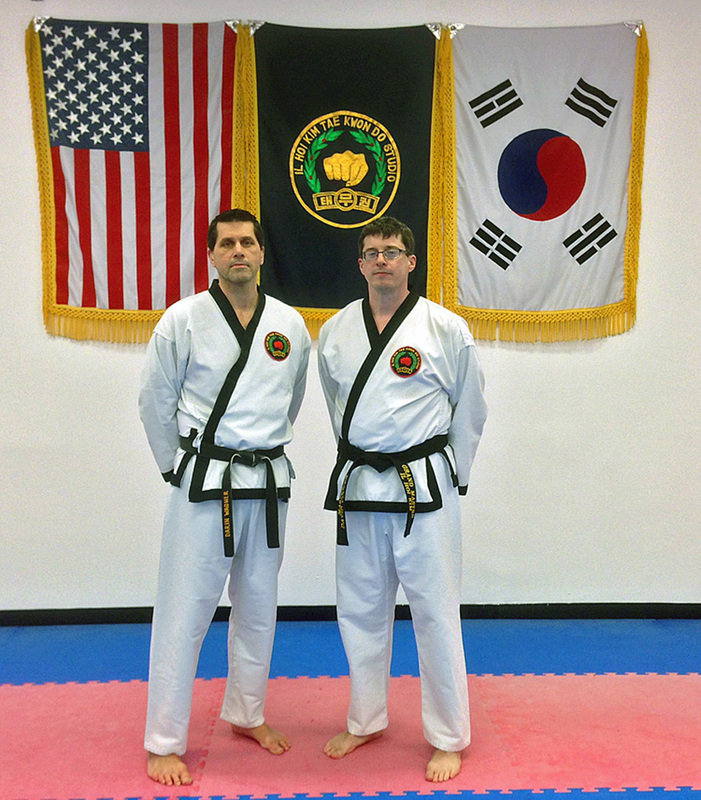 Grandmaster Il Hoi Kim and Kim Studio Lancaster are proud to announce the February 2018 promotions of Mr. Darin Wagner (left) and Mr. David Cooper (right) to Sixth Dan, Master Instructors. 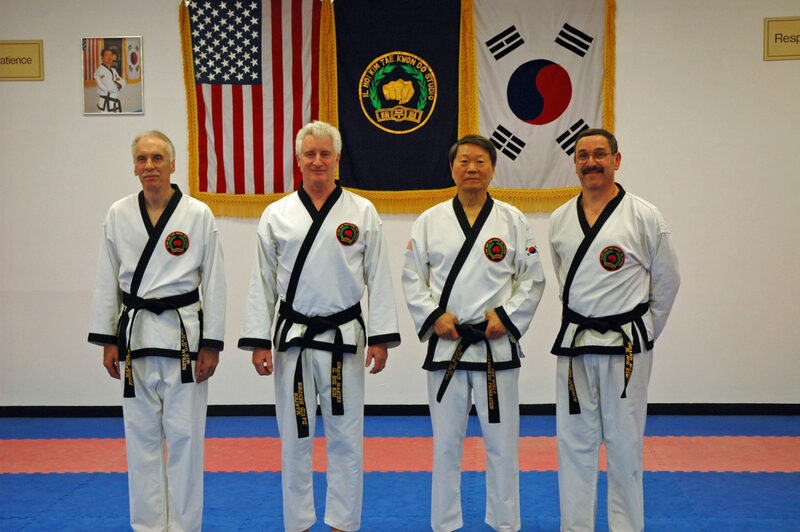 These 6th Degree Black Belts represent over 48 years of combined Tae Kwon Do training under Grandmaster Kim. Masters Wagner and Cooper join Lancaster’s Master Bruce Book who tested in our Harrisburg Studio in 2011 and Masters Rowe, Bender, and Brosbe who tested in our Lancaster Studio in 2017. The title of “Tae Kwon Do Master” represents decades of effort, dedication, and careful study under Grandmaster Kim. Grandmaster Il Hoi Kim (center right) and Kim Studio Lancaster are proud to announce the January 2017 promotions of Mr. Eddie Rowe (left), Mr. David Bender (center left), and Dr. Robert Brosbe (right) to Sixth Dan, Master Instructors. These three 6th Degree Black Belts represent over 75 years of combined Tae Kwon Do training under Grandmaster Kim. Masters Rowe, Bender, and Brosbe are the first of Lancaster’s students to test for their master’s levels in the Lancaster Studio, and they join Lancaster’s Master Bruce Book (not pictured) who tested in our Harrisburg Studio in 2011. The title of “Tae Kwon Do Master” represents decades of effort, dedication, and careful study under Grandmaster Kim.